We strongly believe that every party needs a good dip, so it only makes sense that we would have a show-stopping corn dip on this list. 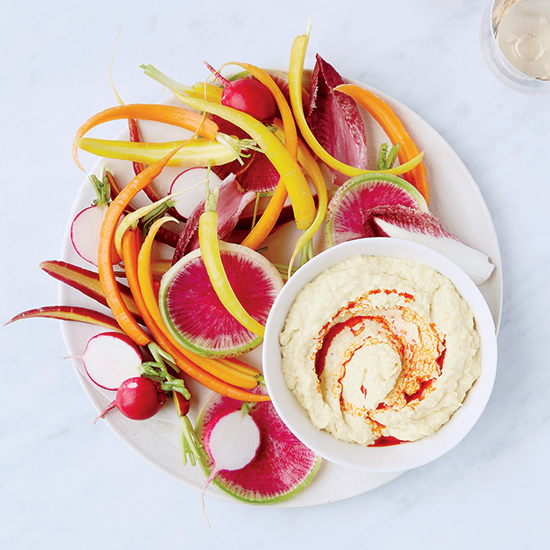 F&W’s Justin Chapple blends sweet corn with creamy ricotta in this versatile dip, which we love with fresh veggies and chips. Attention: It’s mid-August. That means there are only a handful of weekends left to host epic summer cookouts. So fire up the grill, make a pitcher of sangria and, whatever you do, don't forget to make a big batch of dip (it's not a party if there's no dip). Here, seven awesome, supersummery party dips to make. In this lightened version of guacamole, tomatillo puree replaces some of the rich avocado, adding a bit of sweetness and tang; roasted poblano contributes a little heat. Stretching the recipe with roasted peppers, cherry or grape tomatoes, diced jicama, or mango or papaya would lighten it even more. F&W’s Justin Chapple blends sweet corn with creamy ricotta in this delicious and versatile dip. This brilliant green puree takes almost no time to make because it's not cooked. Serve it with sliced focaccia, Belgian endive leaves or both. A goat cheese garnish gives a tangy edge to this smoky eggplant appetizer. Anchoïade, the garlicky Provençal dip made with anchovies, green olives and extra-virgin olive oil, is usually served with a mixed platter of raw and cooked vegetables, including artichokes.